Michael’s provided the supplies for this post. All ideas and opinions are courtesy of yours truly. 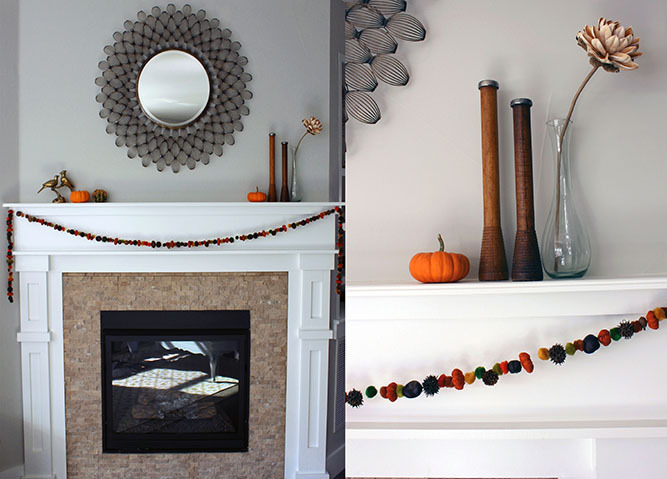 I can’t imagine I’m the only one that thinks Thanksgiving totally gets the shaft when it comes to cold weather decorating. Usually by the time I’m getting around to removing the rotting jack-o-lanterns from our front porch, my neighbors are hanging up Christmas lights. Earlier this week I set up a “garland buffet” of sorts and had some friends over for an evening of crafting, wine and brie-eating. 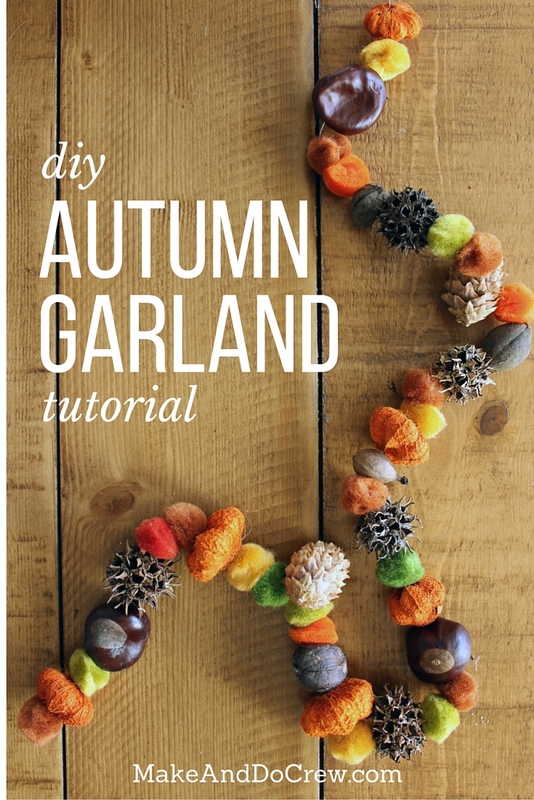 Garland making is a perfect project to tackle for a craft night because it’s as simple as threading little pretties on a string. Everyone can do it. (Even your friend who insists they’re “not creative.” I call BS on that anyhow, but that’s a different topic.) 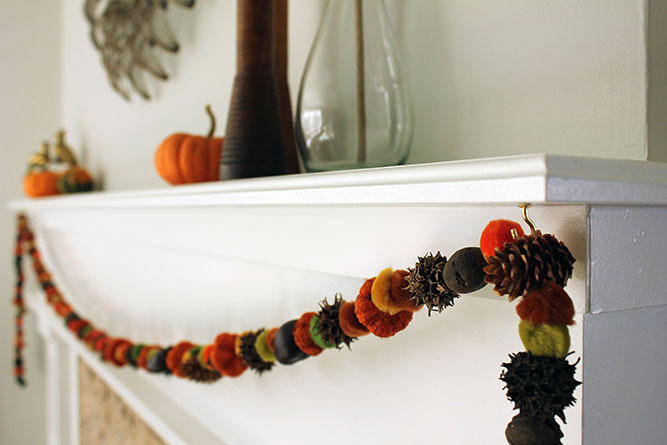 This garland is a great speedy Thanksgiving decoration option too because you can make it as long or as short as you’d like. But come on, who wouldn’t want 100 feet of this stuff? Half the fun of this project was searching for the little bits and baubles I wanted to use on the garland. During walks with Momo, I collected various seeds, pinecones, buckeyes and beautiful bits and pieces Mother Earth had just left lying around. I drilled very small holes through the seeds that were especially hard, essentially making them into little garland beads. Then I went to Michael’s to find more colorful odds and ends to brighten my stash of “nature.” I found some perfect little orange dried foliage in the floral department. They look like little pumpkins, but I’m not sure what kind of plant they originally grew on. Any natural-looking dried plant pieces could work. Michael’s has lots! I also picked up a multi-colored pack of pom poms. 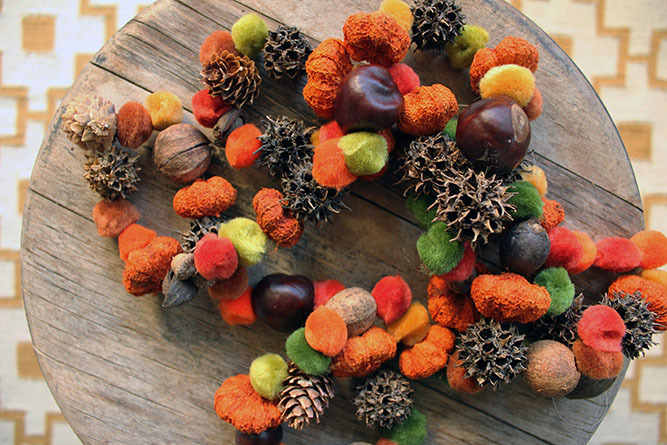 -Various bits and baubles: pinecones, seeds, acorns, pom poms, jingle bells. Check out Michael’s floral department for more inspiration. 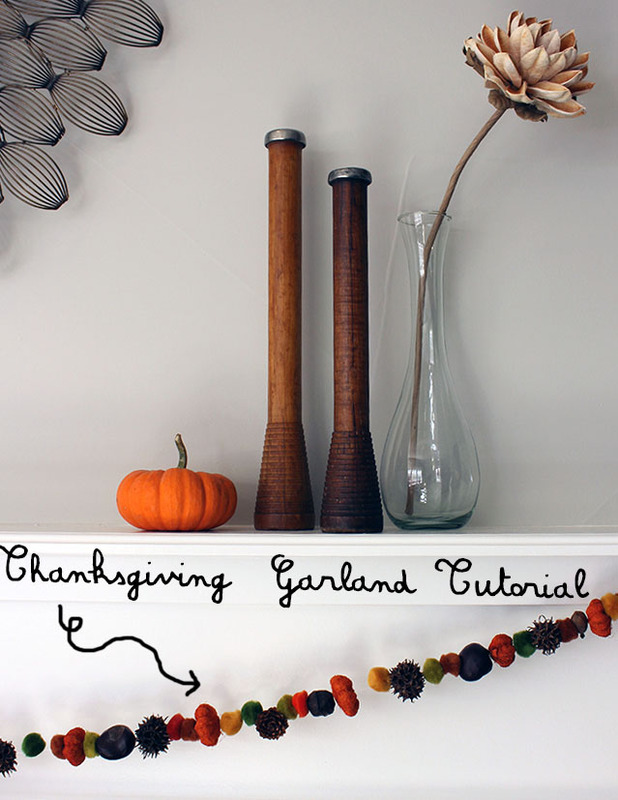 Once you have your “buffet” properly stocked, it’s pretty easy to assemble your garland. I think it’s much easier to work with a string that’s only a few feet long so we made our garland in pieces and then tied the sections together. 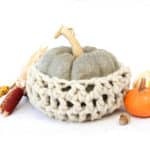 Wrap your string around the first piece you use–a pom pom or something similar–and tie a knot so that the other pieces you thread on won’t slip right off. Continue threading all your pretty little pieces on your string until you reach the end. Repeat the same pom pom knot on the finished end so that both ends are secured. 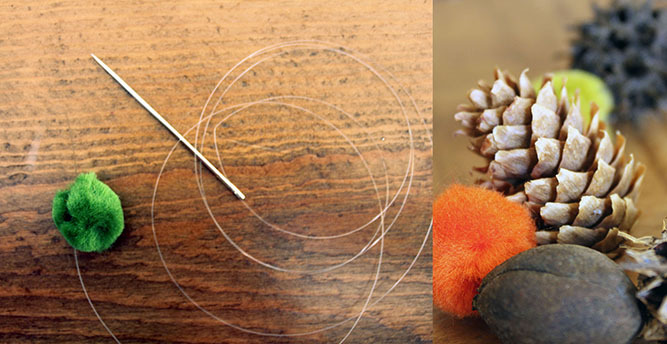 One thing we noticed is that it can be a little tricky to get your needle through certain seeds, so we used a hard cover book as a platform to push the needle into thus cramming it through the seed. It also helps to jiggle your needle a bit so you expand the hole a bit and give the eye of the needle more room to slide through. Once you have strung to your heart’s content, tie your strands together and twirl around the room like the awesome DIY Autumn Princess you are! 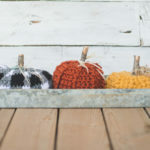 Whether you’re looking for more DIY Thanksgiving decor ideas or you’re charging full speed ahead to tinsel and candy canes, check out Michael’s Holiday Decor Guide for lots of additional decorating ideas. Seriously–there are hundreds! 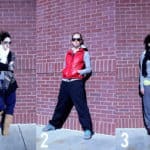 You can also follow them on Pinterest to find more ways to pimp out your pad this season. 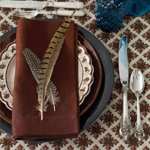 So are you decorating for Thanksgiving or are you already dreaming of a DIY Christmas? Thanksgiving Table Decorations, Lickity Split! 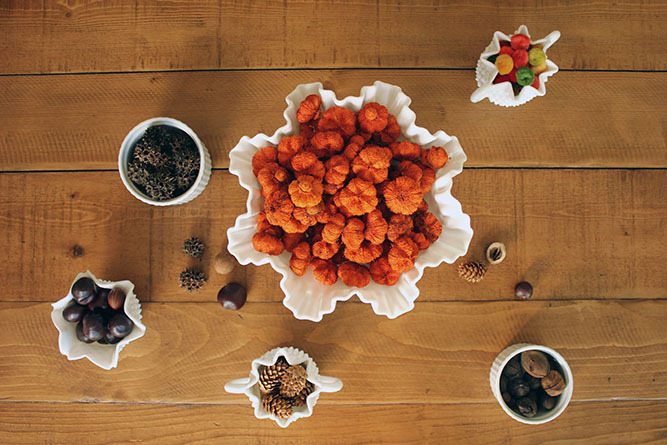 Those milk glass bowls came in handy, huh? Love the garland! The milk glass came in handy…glad you are reusing them. The garland is so pretty! Yes! So much milk glass to fill up with pinecones and pom poms. I’m thinking I might keep these pieces around for a while in case I want to make other types of “buffets” with it. My pleasure, Theresa. Those stuffing balls sound so delish!